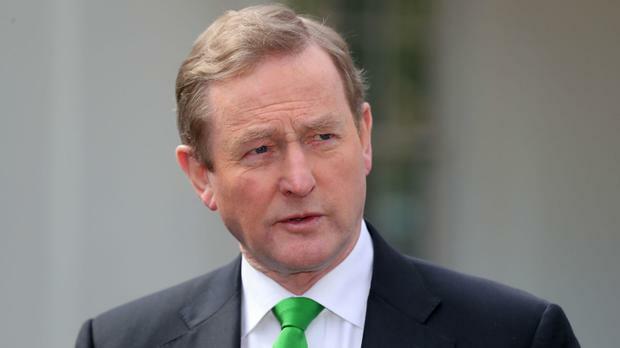 Being Taoiseach takes up "practically every waking hour of your day", Enda Kenny has said ahead of his anticipated announcement on stepping down. The Fine Gael leader spoke at length last night about how he sees politics being "degraded and debased" by people who look at it as "entertainment and gossip". While not giving any clear-cut indication of his intentions, Mr Kenny congratulated former Labour Party leader Eamon Gilmore for making "really tough decisions" to help turn the country's economy around. The comments came as speculation about Mr Kenny's future plans went into overdrive around Leinster House. He is expected to address the issue at a private party meeting tonight but several senior Fine Gael sources have raised doubts about whether he will actually outline a clear strategy for allowing a new leader to take over. It was widely anticipated the Taoiseach would set a timeline of June 6/7 for the leadership election. However, he has now committed to a US trade mission from June 4-6 and is expected to attend a memorial service for the centenary of the Battle of Messines in Belgium on June 7. A number of ministers told the Irish Independent that if Mr Kenny stalled the transition process any longer it could seriously harm the party. "People have given him plenty of time and space. He is pushing it now with all the mind games," said one minister. Another suggested that TDs could take matters into their own hands and renew the threat of a damaging no-confidence motion. Leo Varadkar and Simon Coveney are ready to launch their election campaigns this week if Mr Kenny sets a date. Richard Bruton and Frances Fitzgerald both say they are still considering their positions. Speaking at the launch of the Nealon's Guide to the 32nd Dáil and 25th Seanad last night, Mr Kenny appeared to set out what he sees as the legacy of his two governments. "Today and this week there are 1,300 new jobs announced and that's been the way for a while. It makes us the fastest growing economy in Europe for the fourth year running. These things don't happen by accident, much as some people might imagine that they do," he said. Mr Kenny said he had learned from being Taoiseach that "people own you in a very different way than you might ever imagine". He warned that politics was in danger of being lost to "beautifully packaged soundbites". "Nobody has all the answers. This Government doesn't have all the answers but it makes an honest effort," he said, adding: "This centre has got to hold." The Taoiseach said that many communities such as the North Inner City in Dublin had felt driven to the edge. "People on the edges are looking to their politicians for a far greater sense of certainty. "You can't put people into ghettos and leave them there for 20 years and expect them to be model citizens. It doesn't work," he said. Mr Kenny noted that few believed a government would be formed after the last election. "While we've abandoned guillotines, obviously you can't get as much legislation through as in previous times, it's functioning in the sense of setting a path for our country," he said. He reflected on the performance of the Fine Gael-Labour coalition, saying he wanted to "congratulate and thank publicly Eamon Gilmore because we had some serious discussions over there [in Government Buildings] about the state of the nation". Mr Gilmore was not at the event.